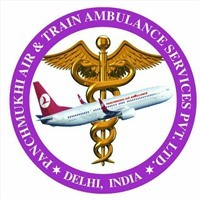 Wednesday, December 05, 2018- Panchmukhi Air & Train Ambulance Pvt Ltd. announces low-cost air ambulance services in Siliguri and Jamshedpur equipped with state of the art ICU setup. You know air ambulances are the fastest medium to transport a critical patient from a remote location to the metro cities where he/she can be availed with the best medical treatments. The other good aspect of our commercial patient transfer services in Jamshedpur is unique Bed to Bed patient transfer. A critical patient is picked up from the bed and with the help of ground, the ambulance is shifted in the aircraft. At the destination city, the same process is carried out until the patient is shifted to the Bed of the hospital or home. The entire evacuation process is executed by the experienced health professionals who have hundreds of hours of carrying critical patient evacuations. All our air ambulance in Jamshedpur is fitted with latest life support systems such as the ventilator, respirator, suction pump, Infusion machines, large psi oxygen cylinder, and portable power supply etc. These equipment are highly efficient and precise to monitor the health condition of the patient in the entire course of evacuation. Beside these equipments, we have a huge pool of specialized Doctors such as Endocrinologists, Gastroenterologists, Hematologists, Hospice and Palliative Medicine Specialists, Anesthesiologists, Colon, and Rectal Surgeons, Nephrologists, Obstetricians and Gynecologists and Oncologists etc. Cost of air ambulance in Siliguri is a prime factor in facilitating a user with quality services. We at Panchmukhi have made several efforts to reduce the operational cost of aircraft and thus facilitate a user with low-cost air ambulance in Jamshedpur. While addressing the cost factor we have not compromised with the quality of the services at any stage. In fact, we follow all the guidelines of DGCA and health regulatory of India to provide transparent services each time. There is no extra or hidden cost associated with our air ambulance services from Siliguri and we also provide multiple payment options to our customers. You must know that Panchmukhi is a pioneer in pediatric patient transfer. We possess Transport Incubator or Neonatal Portable Isolette, Neonatal / Pediatric Ventilator and other vital Pediatric ICU or NICU equipment. With these marvelous machines, we can evacuate a pediatric patient safely from across locations. At the same time, we have rich aircraft resource with Pilatus PC-12, Beechcraft C90, KingAir B200 and Citation Excel Jets etc in our arsenal. These single and twin-engine aircraft are used for providing different types of air ambulance services from Jamshedpur and Siliguri. Panchmukhi Air Ambulance Services are available round the clock throughout the year in any season and weather conditions. We are known to deliver fastest Air Ambulance Services in Jamshedpur during nocturnal hours of the medical emergency.